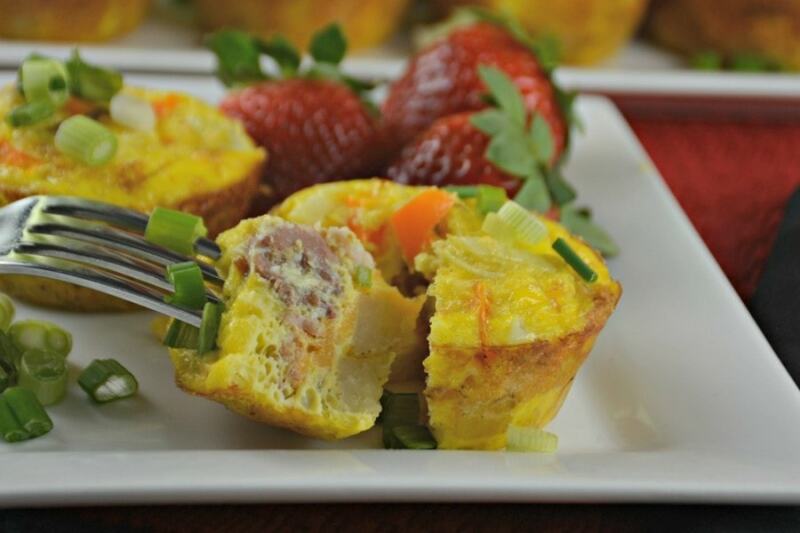 Potato Breakfast Muffins are fast, easy and tasty! 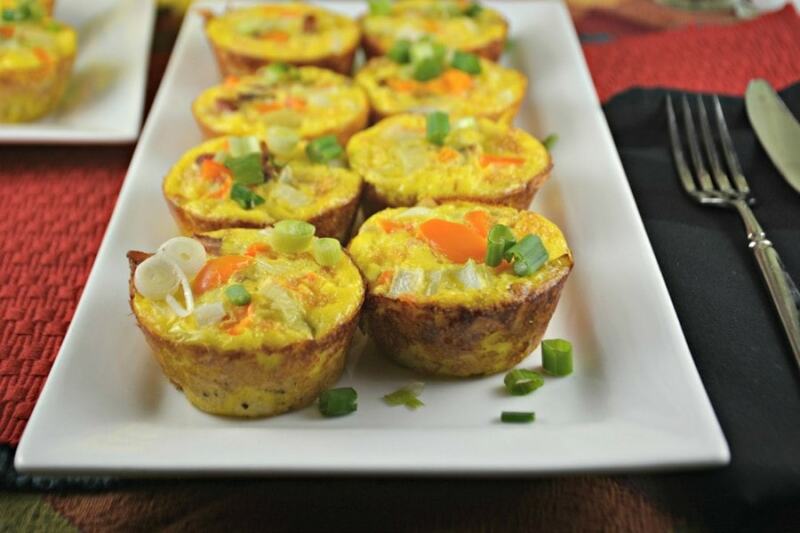 A crust of frozen hash browns, with cheese, bacon, ham or sausage and any vegetables you desire! We keep frozen hash browns in our freezer just so I can make these Potato Breakfast Muffins whenever I want to! I never know when I will need to make some of these delicious breakfast or brunch treats for my family or a crowd! When Patrick, my son was small, these were so easy for him to make with me and eat too! Now he either requests these muffins or makes them for himself! You can use any vegetable you have on hand or desire! I usually include onions and/or peppers, it all depends on what I have in my fridge. At times, I have only included vegetables and some cheese of course! I don’t think I have ever made these without cheese now that I think about it! Same goes for meat, if you choose to include it. 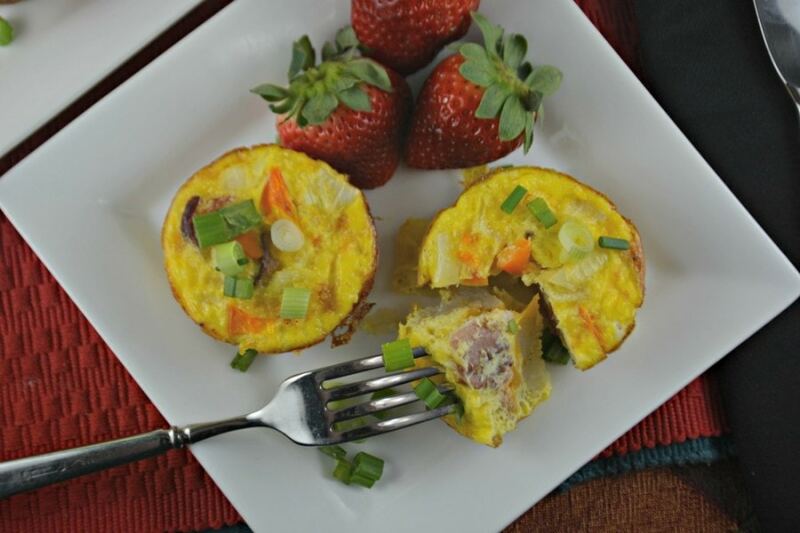 You can use diced and cooked ham, sausage or bacon! Any combination works! Use your favorites or whatever you have around! 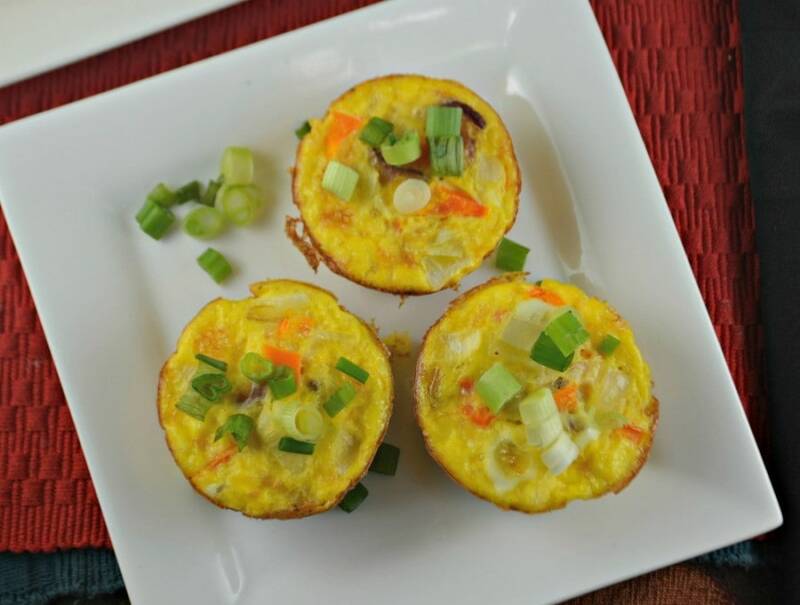 If you are looking for something different to do for breakfast or brunch then these Potato Breakfast Muffins could be exactly what you are looking for! The hash brown crust is what makes them great! Well, that is my favorite part. I love crispy potatoes, probably too much! Preheat your oven to 400 degrees. Prepare a 12 cup muffin pan with cooking spray and set aside. In a large sized bowl beat 1 egg. Next add hash browns, olive oil, 1 cup shredded cheese and 1/2 teaspoon of salt and of pepper. Stir until blended. Divide mixture as equally as possible into each muffin cup. Try to fill each cup as evenly as possible. Press potato mixture down as much as you can. Bake for about 15 minutes or until potatoes start to crisp up. Remove hash browns from your oven and set aside on your stove top. Leave your oven on. While the hash browns are baking, combine eggs and milk or cream in a large bowl. 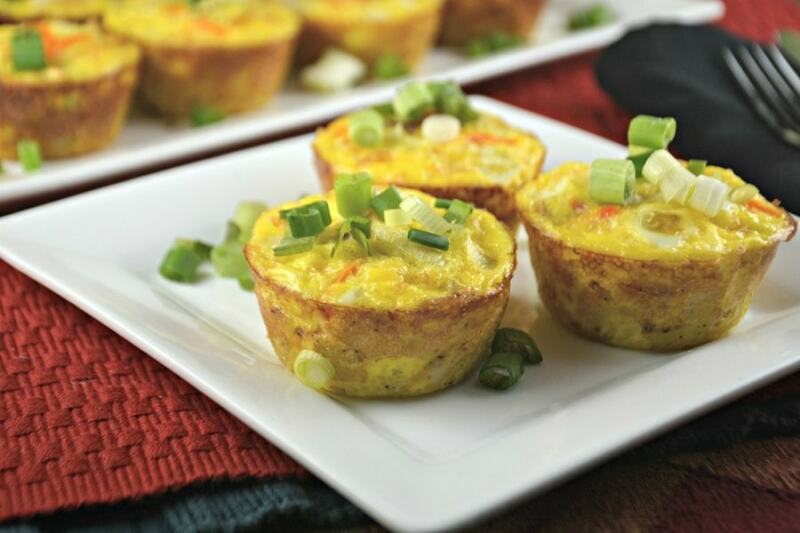 Add a pinch of cheese to each muffin cup, on top of your baked hash browns. Next add a pinch of cooked bacon, ham or sausage, peppers and onions, on top of the cheese. 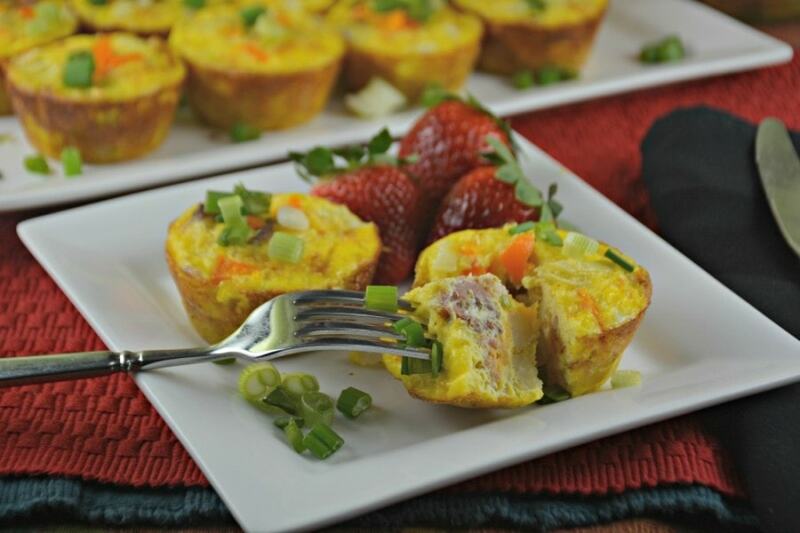 Pour your egg mixture evenly into each muffin cup. Sprinkle with salt and pepper if desired. Bake for between 10 and 15 more minutes or until eggs are cooked and a toothpick inserted comes out clean. Allow muffins to cool in the tin for about 5 more minutes before serving. Enjoy!